Need help creating websites, branded social media platforms & digital ads? The online hub of your business, your website is where you have the opportunity to tell your story, control your messaging, and promote and sell your products or services. It is where traditional and social marketing communications link to for further information. 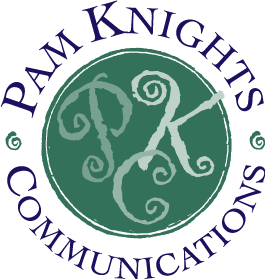 From basic informational sites, to multi-layered blogs, and small online stores, Pam Knights Communications works with a talented team of professional web developers to produce custom-designed, responsive, search engine optimized websites, to effectively convey the business’s branding and messaging. Upon completion of a site, coaching is provided to enable clients to manage their own content and photographs. Consistently incorporating your brand identity across all of your digital platforms is critical to building brand recognition. Working with PKC will give you an abundance to talk about on social media– be ready with a strategic marketing plan and “sharp” digital tools! with distinctive and effective digital marketing tools.